In some cases, ordinary homeowners insurance will absolutely cover mold. In other cases, mold is not covered under a typical homeowners insurance policy. Find out what you need to know about whether or not homeowners insurance will cover your mold damage problem. Mold damage is quite often a result of preceding water damage. By default, a homeowners insurance policy will not cover mold damage. Homeowners insurance does not cover flood damage and therefore mold that is a result of a flood is not covered under a standard homeowners insurance policy. Some of the most serious mold issues are caused by flooding. 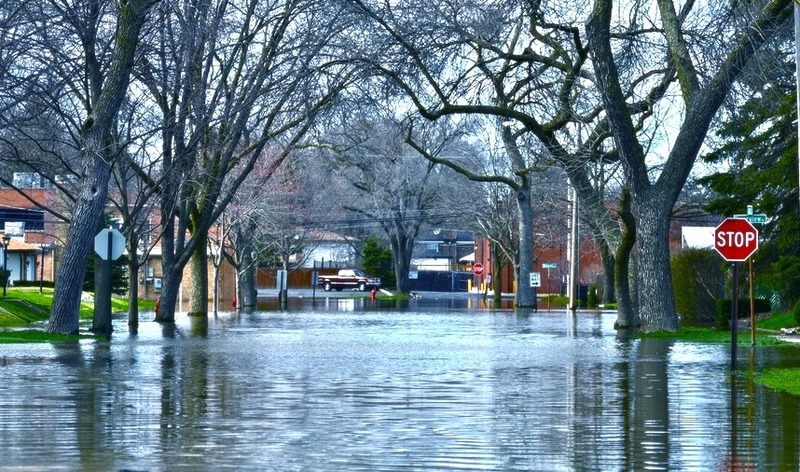 Flood insurance coverage can be purchased separately in participating communities and is backed and regulated by the National Flood Insurance Program (NFIP). If you live near a flood-prone area, it is in your best interest to purchase a separate flood policy. A flood policy will usually cover mold and mildew that is a result of water damage that is covered under the flood insurance policy. The exception for mold and mildew under the NFIP is damage that could have been prevented or avoided, such as failing to remediate in a timely manner, or caused from a pre-existing condition. So assuming the mold problem wasn’t already existing or caused by a failure to inspect or maintain your property after the flood, it would likely be covered. If your home floods and you fail to clean up the water or prevent the mold from spreading, for example, then the insurance company may have grounds to rightfully deny your claim. As you can see, things can get quite complicated. That’s why some homeowners choose to hire a public adjuster to deal with a mold problem – especially if the mold problem is particularly large, costly, or complicated. 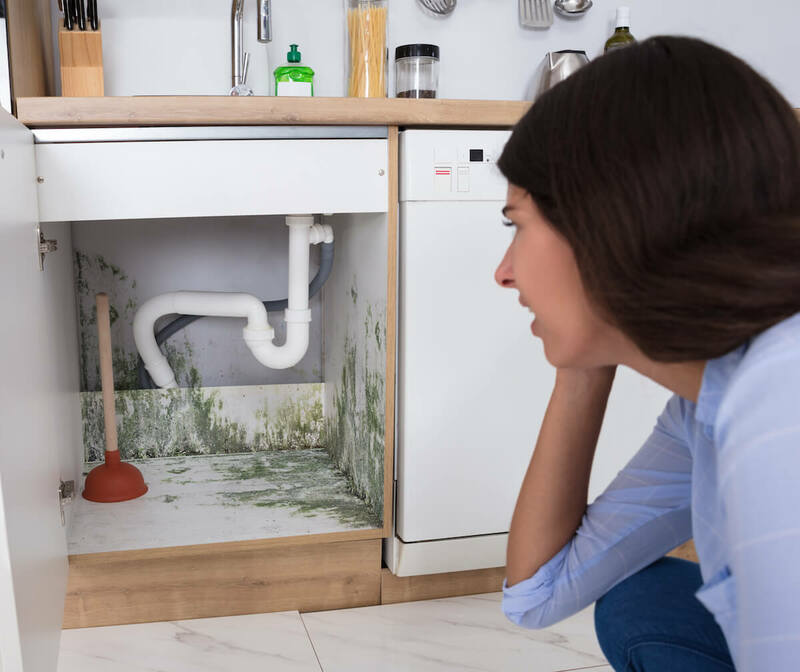 Below, are some of the common scenarios where homeowners encountered mold, including scenarios where you can expect your home insurance to cover the cost of mold remediation – and scenarios where they will likely deny coverage. • The hose connecting your washer to the water line suddenly breaks, causing a flow of water behind your wall. Once you spot the issue, you stop the leak, remove the water and report it to your insurance company immediately, but mold then begins to form in the walls behind your washer. • It snows heavily in the middle of winter, and snow collects on your roof overnight; the next day, the snow melts and collects in your gutters, then freezes when night falls. An ice dam forms in your gutter, causing water to back up under your shingles into your attic. Your attic floor and insulation are soaked with moisture, and you have a serious mold problem. In all of these situations, you can expect a homeowners insurance policy to cover your mold damage problem. • The pipes in your basement freeze and burst. You don’t notice the problem for 3 weeks. By the time you notice it, you decide it won’t hurt waiting a few more days to get help removing the water. Your basement has a serious mold problem. • Your roof hasn’t been replaced in 40 years. The shingles are in disrepair. After a big rainstorm, water seeps into your attic, soaking the attic and insulation with moisture, creating a mold problem. • You shower every day and notice a black stain spreading on the ceiling above your shower. You don’t think about it much until one day the stain looks particularly unsightly. You suspect it may be mold and that it could be harming your family. • The river near your home floods, filling your basement with two feet of water. By the time the water subsides on it’s own, your basement has a serious mold problem that needs to be remediated. In all of these situations, your insurance company might refuse to cover the cost of repairing your mold problem. Why? Well, a home insurance policy goes two ways. Your insurance company agrees to cover certain damages to your home, and their obligation to cover those damages is also contingent upon certain duties to properly maintain your property, prevent further damage, and keep your house in good repair. Your insurance company expects you to take proper care of your home. If you fail to ventilate the bathroom, replace an old roof, or promptly report a mold problem, then it’s within the insurance company’s rights to deny your mold claim. If you’re in doubt about whether or not your home insurance policy covers mold, check your policy. Many mold problems are caused by floods and water damage, for example. Unfortunately, most home insurance policies do not cover water damage caused by a flood, which means you might be totally out of luck if you do not have flood insurance coverage. Look through your home insurance policy coverages and exclusions. Check for any language pertaining to “water” and “mold”. Many home insurance policies don’t cover mold damage unless it’s a result of a covered peril. Your policy, however, might have a special section dedicated specifically to mold, fungi, wet and dry rot. Need Help Or In A Dispute with your Insurance Company Over Mold Damage? Contact ClaimsMate to get connected with a public adjuster. ClaimsMate not only provides leading industry information for insurance claims, but also has a network of top quality public insurance adjusters. Public adjusters are licensed insurance professionals dedicated to managing all aspects of your insurance claim from beginning to end. If your mold problem is adding up to a lot of damage, and your insurance company is dragging its feet, then it may be in your best interest to hire a public adjuster who can ensure you get fair treatment. There’s a lot of wiggle room on mold claims, and plenty of things can be open to interpretation. This gives shady insurance companies an easy way to deny your claim, but it can also expose them to legal trouble. Public adjusters can help navigate your insurance policy and insurance claim while also helping to maximize your insurance claim settlement.